Another month has gone by and it's time for Surprise Recipe Swap! Thanks again to Jutta, from Hungry Little Girl for hosting every month! A group of bloggers get together and on the 20th of every month we post a recipe that we made from the blog we were assigned to for that month. The blog I got for the month of March is Hun... What's for Dinner? I had such a fun time browsing through Cindy's recipes. It was so hard to choose which one I was going to make. I decided on this awesome recipe for Peanut Butter Banana Bread! I just love the Reese's Pieces added in and the peanut butter glaze drizzled on top makes it so delicious! This recipe is easy to make and everyone will love it. 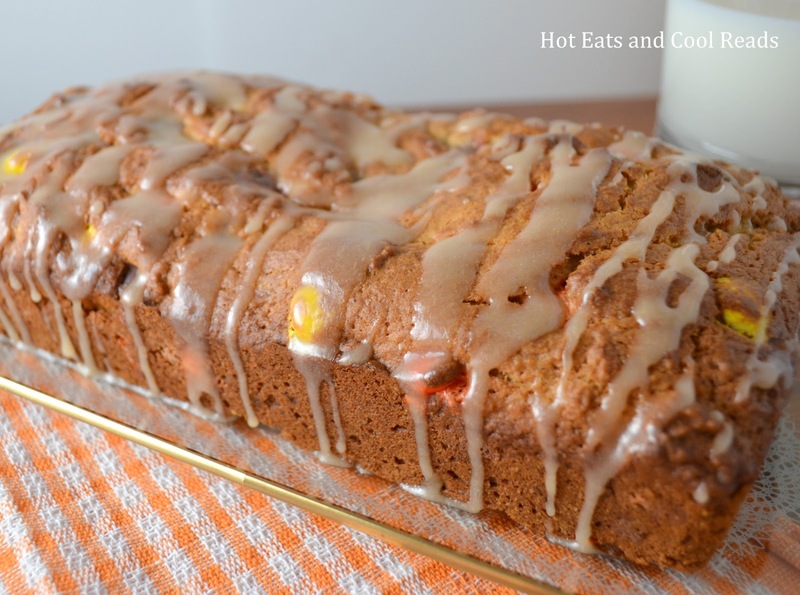 Make sure you stop by Cindy's blog and check out the great recipes she has! Preheat oven to 350 degrees. Spray an 8.5x 4.5 inch loaf pan with cooking spray. In a medium bowl, beat the peanut butter and sugar , until well combined. Add the egg and melted butter, mix well. Mix in the bananas. Next, sift in the flour and baking powder, mix until combined. Fold in the Reeses Pieces. Pour into loaf pan, spread with a spatula, and bake for 45 minutes to 1 hour until a toothpick inserted comes out clean. Remove from the pan and cool on a wire rack. Whisk together the peanut butter, powdered sugar and milk until well combined in a microwave safe bowl. Microwave for 30 seconds, stir and another 30 seconds, repeating until heated though. Drizzle over the loaf. 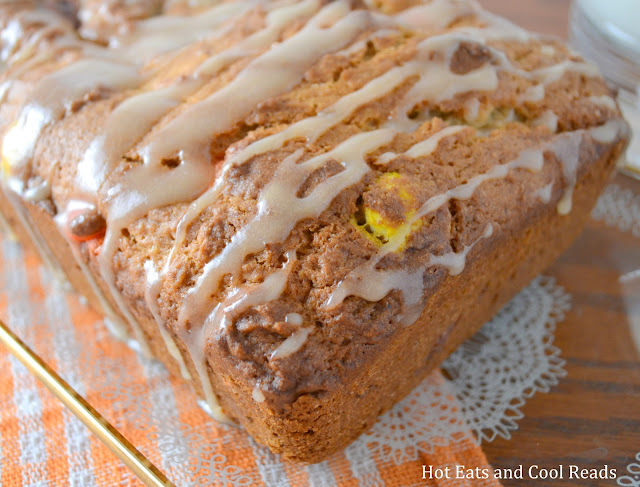 Sheena, your Peanut Butter Banana Bread looks so scrumptious! I love PB and Banana together :) Pinned! Great choice Sheena! This is one of our favourites!! I'm glad you guys enjoyed it! This looks so yummy!!!! I must try it!! And the pictures are absolutely fabulous!!!! Reeses Pieces are one of my favorite candies! This recipe would not last long in our house! 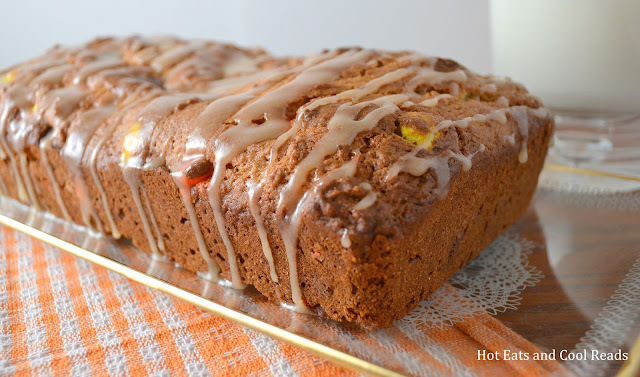 What a great way to make banana bread! I found this post on Thursday's Treasures! Thanks! So glad you stopped by!! Looks SoOo GOOD!! Pinned ;) Thanks for sharing!! It's a gorgeous and very delicious looking cake! It was SO hard!! Thanks for stopping by!! 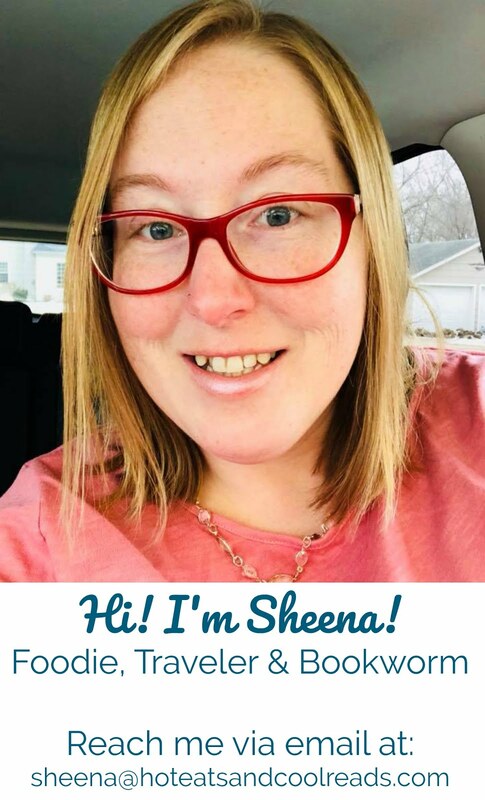 Oh wow, this looks fantastic, Sheena! Pinned for future reference! Oooh! My little boy would love this. Great recipe! Thank you, Jill! You both will love this!! This looks delicious! Hope you are having a great weekend and thank you so much for sharing with Full Plate Thursday. Peanut butter always tastes great with banana great idea putting the reese pieces in the cake. You picked a good recipe. thanks for sharing it with us on foodie friday. Oh my goodness! What a fabulous recipe. I have a similar one, but LOVE the addition of the candies...it would quickly get gobbled up at my house. Thanks so much for linking up at Weekend Potluck. Looks amazing!! I just can't get over that PB glaze!! I just made some mini Reese's cheesecakes the other day , but I think I'm going to have to pick up another bag for this recipe!! I am sold. This looks amazing. We have a link party called Wednesdays Adorned From Above Blog Hop and would love to have you share this and any other posts with everyone. It runs from Tuesday night through midnight Sunday. We also have a $50.00 Visa Gift Card Giveaway. Here is the link to the party. Ok, this is the second time I have come to this page, therefore it must mean I have to make it! Thanks for linking up to the In and Out of the Kitchen party! See you next week! Yes, thank you! I'll have a slice or three :-) Thank you for sharing another delicious recipe at ALL MY BLOGGY FRIENDS Link Party ! What a fun idea! I love that you put candy in the bread!